This tabouli salad is made with quinoa, so a complete meal for a vegetarian option, or serve alongside a grilled chicken breast …. or tonight’s choice – chicken wings with a Pomegranate Molasses Barbecue Sauce …. yumminess. Pickling red onions: Thinly slice red onions and pour boiling water over for 10 seconds – drain off, and cover with fresh squeezed lime juice and a sprinkle of kosher salt. They turn such a great color. Place the rinsed quinoa in a medium sauce pain, ccover with 1 3/4 cup cold water and season with salt and pepper. Bring to a boil, cover, lower the heat and cook until water is absorbed and the quinoa is tender, 18-20 minutes. Remove the lid, fluff with a fork and let it cool. 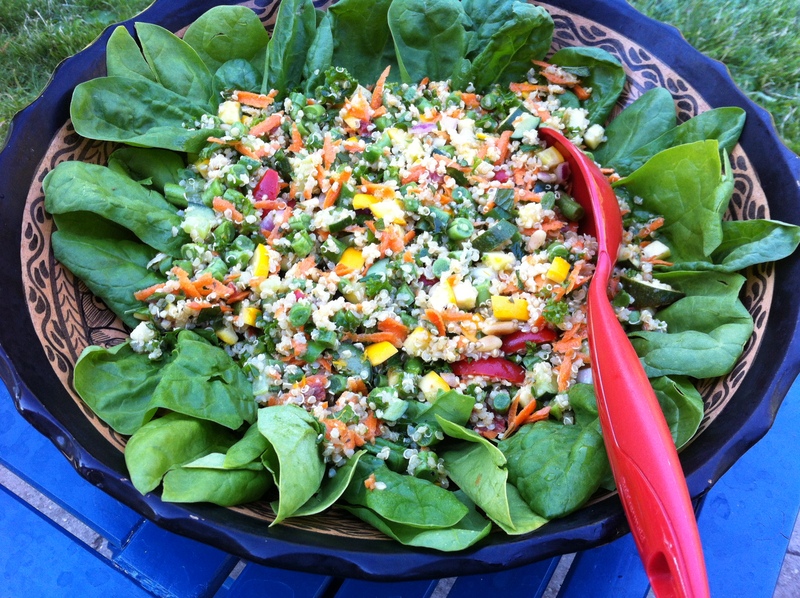 In a large bowl toss all prepared vegetables and the cooled quinoa. Combine zest and fruit juices, drizzle oil slowly in to incorporate. Season with salt and pepper to taste. 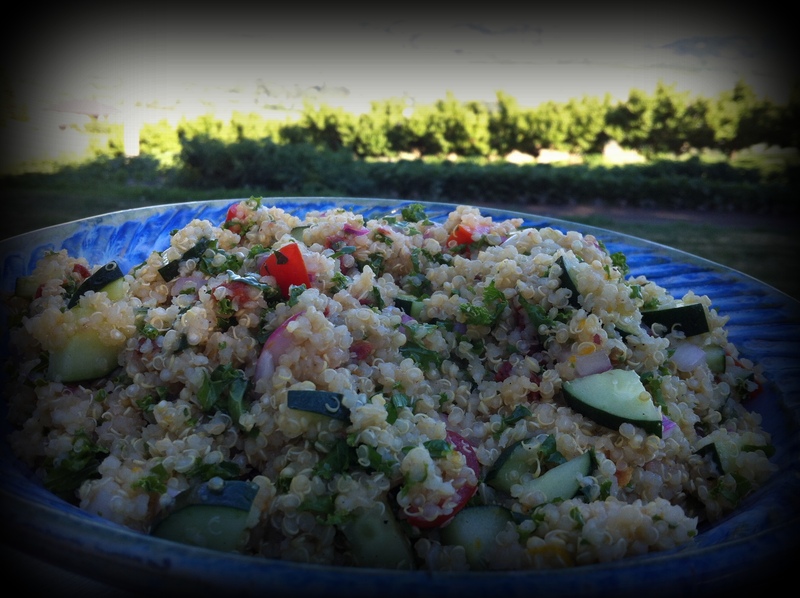 Toss with prepared Tabouli Salad and taste …season with more salt and pepper if needed. 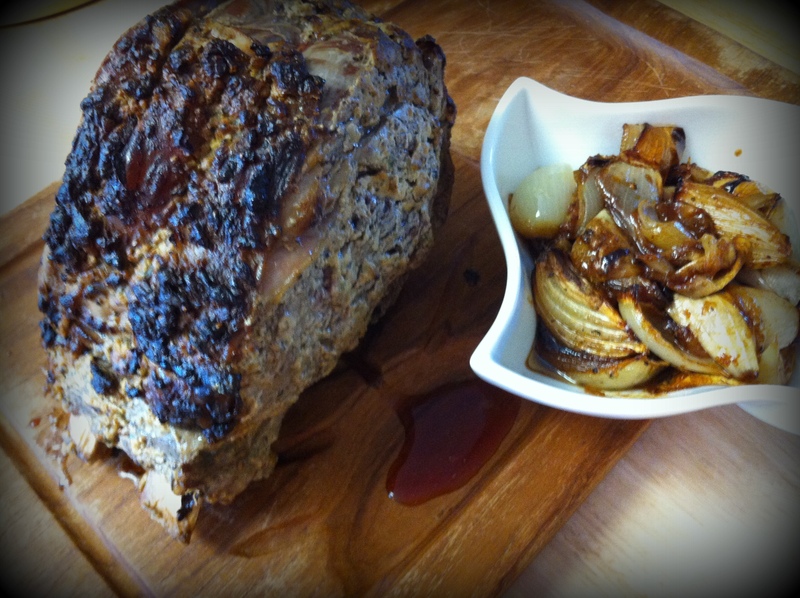 I love a good prime rib roast – such a treat. Mustard and beef are perfect together, add a little horseradish in there and the house will smell amazing. 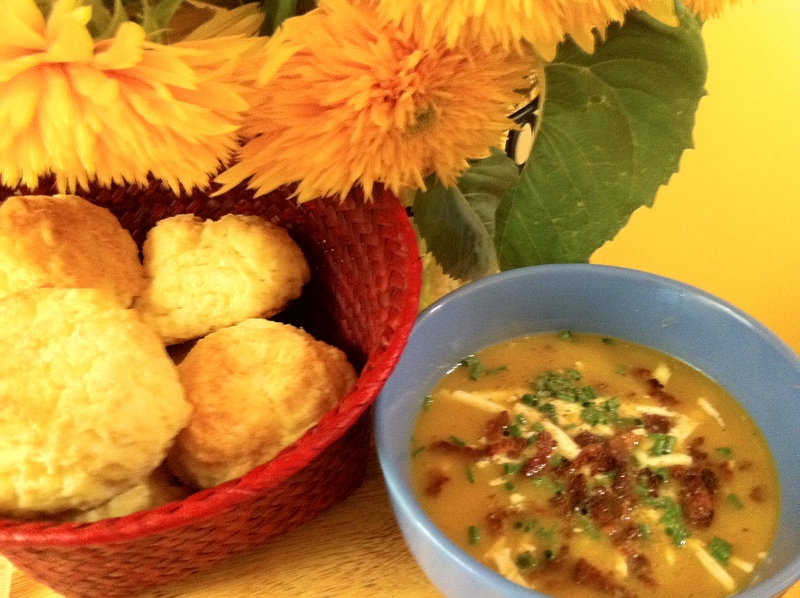 Sunday dinner treat – the house smells amazing! Season prime rib with salt and pepper, then rub the mustard all over the surfaces of the rib. 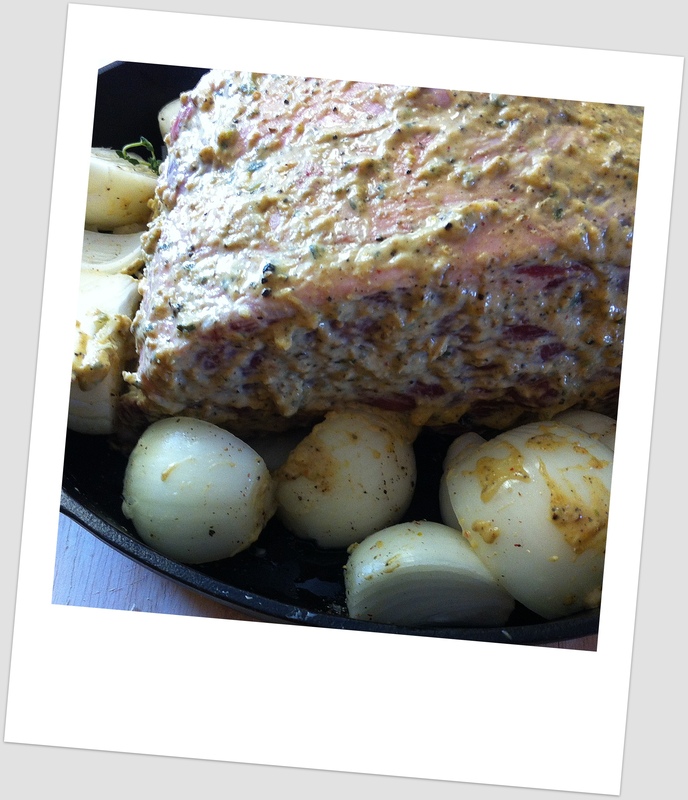 Allow to rest on the counter to bring the roast to room temperature before roasting. 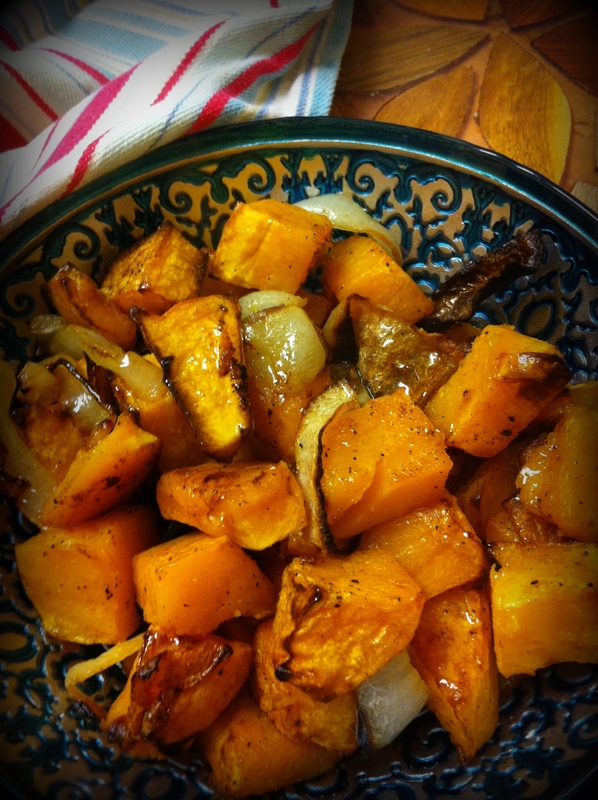 Quarter 4 medium size onions, and scatter around the roast – drizzle with olive oil and any of the remaining mustard mixture. Gently massaged with mustard horseradish rub and ready for the oven. Preheat oven to 450 degrees. Place roast in oven and roast for 20 minutes – then turn oven down to 350 and continue roasting – anywhere from 1-2 1/2 more hours depending on the size of your prime rib (you can also use this method with any other good quality cut of beef that does not require low slow roasting). Right about the same time the onions should be tender, sweet and so delicious.